In this week's Japanese gaming column, we discuss the recent crop of Japanese role-playing games -- and whether any have truly bettered Atlus' slice-of-life-with-monsters classic. Welcome, once again, to USgamer's regular roundup of all things Japan and Japan-inspired. This week I wanted to do something a little different and explore a Twitter conversation I was part of last night, since it's a subject close to my own heart and something that doubtless plenty of you have your own feelings on -- so feel free to jump in with your own thoughts at any point. 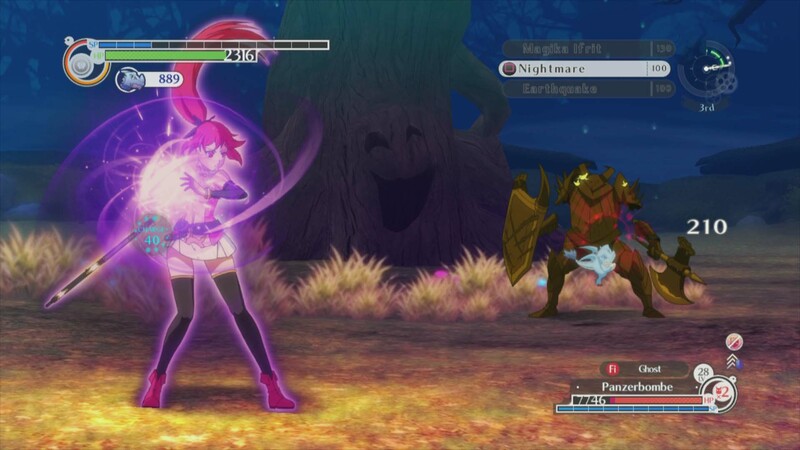 It began with a comment from RPGamer's editor-in-chief Michael Cunningham, who asserted that, contrary to popular belief, "console JRPGs haven't died, many have simply changed form. Valkyria Chronicles, Xenoblade, Demon's Souls." 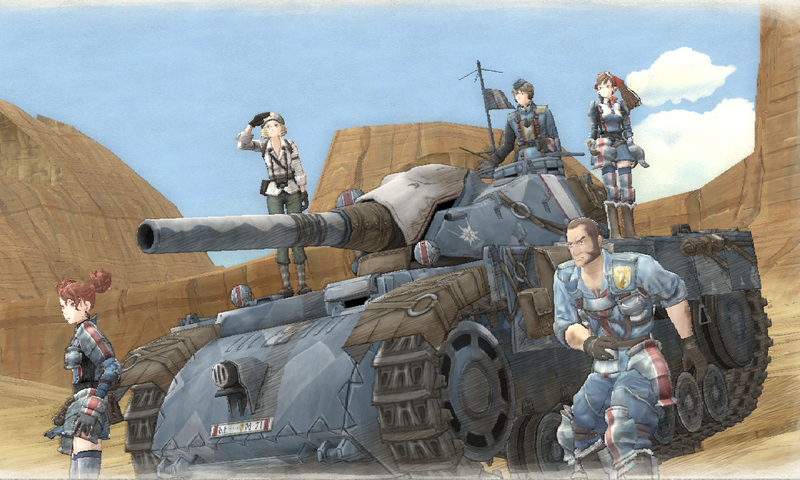 Valkyria Chronicles, branded by Jeremy as "one of the most imaginative and entertaining games of the generation." At this point, Twitter user and regular USgamer commenter "Stealth" jumped in, noting that he believed "we have more JRPG choice this gen than we ever had before." I'm inclined to agree, personally; for the last couple of years, pretty much every game I've played in my free time has been a lengthy JRPG (by my definition rather than Boyd's) in one form or another, and I've had a blast. Nier, Xenoblade Chronicles, The Last Story, Pandora's Tower, Trails in the Sky, the Ar Tonelico series, the Hyperdimension Neptunia series, Tales of Xillia, Time and Eternity and countless others -- I have fond memories of all of them. Not all of them were the most well-received or the "best" games, of course -- though naturally, that's a matter of opinion -- but that's not what Stealth was arguing; he said that we've had more choice than ever before. I don't have detailed statistics to say whether or not that is absolutely, positively true, but it certainly feels as if we're at least on a par with the PlayStation 2 generation in terms of variety -- and perhaps more so thanks to games that unabashedly cater to niche audiences rather than going for mainstream appeal. If you've not yet played Persona 4, don't be put off by its 80+ hour length; you won't regret the time you spend in Inaba. Boyd disagreed with Stealth, though the two were talking at slight cross-purposes for a while. "I dunno about that," he said. "I have yet to see anything better than Persona 4 (except [Persona 4 Golden for Vita]) and that was 2008." Persona 4 is great, to be fair, and it's one of my own personal benchmarks for how good JRPGs can be if they're well-written, well-designed and unafraid to delve into dark, mature subject matter. But I wasn't sure I agreed with Boyd's assertion that nothing "better" (again, subjective) had come out since then. I pointed to my personal play habits for the past couple of years and he clarified his stance: "Oh, I've been playing tons of JRPGs this year. It's just that none of them are as good as [Persona 4]. Ni no Kuni, [Shin Megami Tensei 4], Pokémon X/Y and Xillia are all good-to-great games. But none are amazing. The only JRPG since P4 to wow me was Radiant Historia. And it falls apart later on." "Clearly you haven't played Atelier Meruru (or the other ones)," said Digitally Downloaded's Matt Sainsbury, card-carrying member of the Atelier fan club. Boyd admitted that he hadn't played Meruru -- regarded by some to be the best of the Arland trilogy -- but that he had played Meruru's predecessor Totori and the first installment in the more recent Dusk saga, Atelier Ayesha. He branded them "good games" -- damning with faint praise? Cunningham hit back with the phenomenal PSP JRPG Trails in the Sky, the second installment of which is currently being worked on by Recettear localizer Carpe Fulgur. Boyd noted that he thought "Trails in the Sky is great but nowhere near as good as Persona 4. Also it's a really old game." 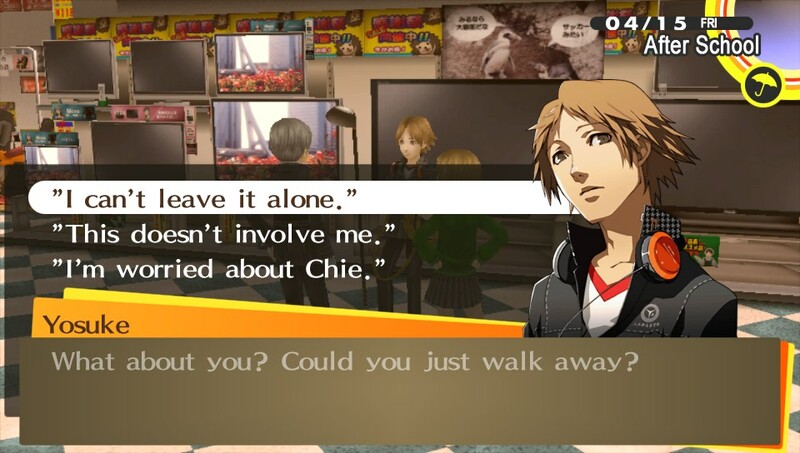 It's true, sadly; despite the fact we weren't treated to an English translation until 2011, the original Windows version of the game hailed from 2004 -- some four years prior to Persona 4 hitting the PlayStation 2, thereby going some way to proving Boyd's point. Time and Eternity was not the finest game there's ever been, but it was a good example of that "choice" Stealth argues we've had this generation. "Since Persona 4 came out in 2008, I can only think of a handful of JRPGs that have impressed me since then," said Boyd, bringing what had previously been a relatively small-scale conversation into Twitter's public timeline. "Ni no Kuni for the visuals and music. [Final Fantasy XIII] for its clever battle system. And Radiant Historia overall, except it should have ended sooner." Boyd also branded Xenoblade Chronicles his "biggest disappointment of the generation," aside, possibly, from BioShock Infinite. I've certainly played and enjoyed a wide variety of role-playing games on consoles since Persona 4 came out and it's honestly difficult to say whether or not any are, without a doubt, "better" than Atlus' classic. But ultimately, I'm not altogether sure it matters; the point that was inadvertently made in this whole discussion was that JRPGs are far from being a dead genre -- whether you're looking at the PC, console or handheld space -- and that, in fact, the genre has diversified and expanded more than almost any other type of game out there in the last few years. Your own personal definition of "JRPG" (or even "RPG") may vary -- you may take a broad definition like me, or have very specific criteria like Boyd -- but there's little denying that for those of us who like hitting things with swords and seeing little numbers pop up, our favorite genre isn't going anywhere for a long time yet. Tagged with Articles,	demo,	GTA,	ign,	ios,	music,	PC,	Retrospective,	Stealth,	Strategy,	twitter.